Street Pole banners are an effective way to celebrate community pride and advertise special events. With all of the ways we enjoy them, you might wonder why there is ever any push back on installing street pole banners. Unfortunately, some utility companies have had negative experiences when installing hardware and banners from other sources – but it is possible to build consensus and get support from all stakeholders. In our experience there are 3 scenarios in this process, utility companies are either responsive, reluctant, or resistant. All of these situations are manageable and can result in positive outcomes for everyone. Responsive. Frequently, utility companies are more than willing to allow outdoor banners to be added to their utility poles. Of course, we’re always happy when utility companies are ready to get on board right out of the gate. We know that this is the easiest scenario, and find that these power companies are aware of the type of banner hardware technologies innovated here at Bannerflex. Building a partnership between community representatives and utility companies is always our recommended model. Reluctant. 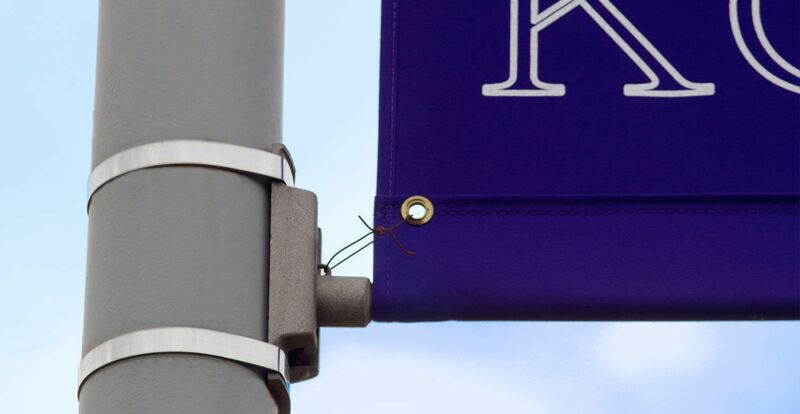 Some reluctance while still being essentially willing is our second most common scenario when communities are creating a new street pole banner program. Utility companies have valid reasons to be concerned about adding what are essentially sails to their poles. We can all agree that we don’t want to compromise pole integrity. Generally, when we share our wind load data, reluctance becomes responsive. Resistant. Again, we understand the concerns with adding street pole banners to utility poles. We respect that pole strength is affected by the poles age, the integrity of the base, the pole material, and other factors that the pole owner may have knowledge of. We provide wind load data so that everyone can make informed decisions about Bannerflex products. We’ve been compiling usable data for decades and readily share it with community partners and utility companies to change project resistance to responsiveness. When we can gain buy in from each stakeholder the community as a whole benefits. 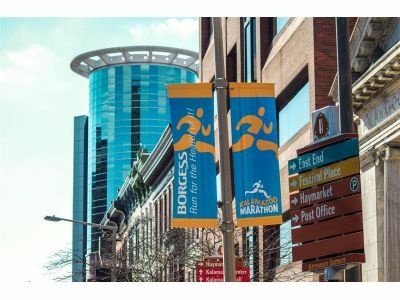 We all care about the safety of our communities, and Bannerflex hardware has been shown to effectively reduce wind load from street banners. If you are dealing with a reluctant or resistant utility company, share our wind force calculator to help them make informed decisions. We look forward to helping you develop partnerships.